Archaeology & the Bible- CenturyOne Foundation, Inc.
RCHAEOLOGY is not about faith. Its purpose is not to make us believe or to not believe in the Bible. We already do or we don't. It does not prove or disprove the Bible. The Bible stands by itself and does not need the support of modern scientific study. The Bible is about living, archaeology is not. So who needs it? What does archaeology have to do with the Bible? Archaeology is a science and an art - technical methods and analytical concepts - that is concerned with the full range of past human experience. In analyzing past human culture and society, it seeks to understand how people lived and why they lived that way; what were their patterns of behavior and why; what caused them to change those patterns and how did they do it; when did all of this take place. For archaeologists, this is done primarily by studying what a past society has left behind. These remains are known as the material culture. It includes remains like buildings, tools, documents, jewelry, and other artifacts of former societies. Biblical archaeology as an academic discipline, does not differ from any other type of archaeology, except that it narrows the focus to the remains of the people who lived in the land of the Bible during the period it covers. This is basically from the time of Abraham in 1850 BC to the first half of the second century C.E./A.D. Out of all this, the New Testament covers only about 140 years, as opposed to about 1800 years in the Old Testament. In addition, the New Testament takes place in only a small region of the Mediterranean world. The Old Testament covers the whole of the Middle East. Thus, the field of study for the New Testament is more limited. The Bible is an inspired book written for a specific purpose. Not merely a history book, it reveals God's plan for all mankind and provides an instruction manual of examples, lessons, encouragement and laws, that we might learn vicariously, a proper way to live. No science can replace faith in that work. No science can compete with the simple statement from Genesis where we are told, "Abraham believed God, and it was counted unto him for righteousness." Yet by and large, the Bible is not concerned with other religions, architecture, land use, geography, other histories and the like. While non-biblical sources may not be critical for faith and knowledge of the Bible's teachings, they do give us a deeper and fuller understanding of the Bible's message. Archaeology's purpose is not to replace, invalidate or support the Bible, but to help elucidate the Biblical text in several ways. First of all, archaeology provides a general background to the events of the Bible. Everything in the Bible, all of its personalities, occurred in the context of their own particular environment or geographical setting. A simple reading of the Bible does not always show the significance of the situation in which the narrative takes place. Often knowing about the location where something occurred will help us to understand why a statement in the Bible was made. When we can get behind a statement, we can begin to discover some of the nuances of the Bible. 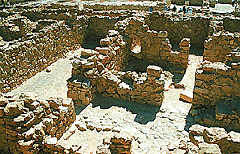 Secondly, archaeology has given us insight into the religious setting of the biblical world. The notion of a monolithic or unified Jewish religion during the period of time between the Testaments was quickly dispelled after the discovery of the Dead Sea Scrolls. We now see the world of Jesus to be not unlike our own - intolerant of competing outlooks and a virtual melting pot of religious ideas concerning everything from the Law to the Messianic prophecies. Through examples like this, we can see te timelessness of the Bible. 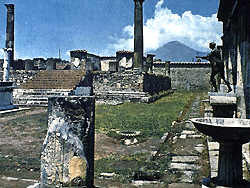 Even the excavation of a town not mentioned in the Bible, like Pompeii - destroyed by Mount Vesuvius in AD 79 - gives us a clear idea of the type of town in which Paul would have delivered his message. Thirdly, the Bible does not attempt to give us a complete record of history and events. That's not its purpose. It provides only those details that are necessary to make the point. Archaeology can often recover the evidence necessary to help to fill in the gaps and add color to the images we already have. The Bible does not describe what Jesus was doing between the age of 12 and the time be began His ministry 18 years later. But when we put what we are told about Jesus and His family, with what we have learned at the ongoing excavations at Sepphoris - an ancient city only 4 miles from where Jesus lived - we can reliably assume that He might have worked with His father in his trade as a builder. This helps to make the Bible come alive. Fourth, what we have exposed through archaeology, in the way of both biblical and non-biblical manuscripts, helps us in the translation and explanation of many passages. Words can and do change their meanings over the years. Sometimes we will find a word in a manuscript written in a similar language, with another meaning that fits the Biblical context better. So this helps us to get a better idea of exactly what the author meant by the use of a particular word. The Egyptian papyri have contributed a great deal to our understanding and knowledge of the world of the New Testament. They have also served to illustrate the language and thought of the common people and thus, the New Testament Church. In addition, the Dead Sea Scrolls have helped to underscore the hand of God in getting his word down to us over a period of hundreds of years. The story of how we got the Bible is very interesting. You might expect that with all copies that were made of it by hand before Guttenberg ever got his hands on it, many words might have been changed, been added or dropped altogether for all kinds of reasons. But, when the Old Testament texts that were found among the Dead Sea Scrolls were examined, we found that they for the most part, verified the earliest version we had up to that point. And the Scrolls are 1000 years older than that. Finally, archaeology strengthens the historical credibility of the Bible. It constrains the imaginings of those who would make the Bible just an interesting collection of folklore. Archaeology has contributed substantially to the historicity of the Bible overall. 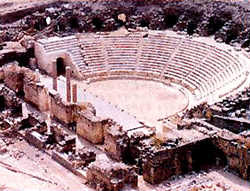 Discoveries such as the water tunnel beneath Jerusalem dug by King Hezekiah, the Well of Jacob where Jesus spoke to the Samaritan woman, the Pool of Bethesda where Jesus healed a crippled man, the stone in the Roman theater at Caesarea inscribed with the name of Pilate, the tribunal at Corinth where Paul was tried, and the theater at Ephesus where the riot of silversmiths occurred, to name a few, help to give historical credibility to the Bible. Archaeology, like all academic disciplines, does not exist in a vacuum. It influences and is influenced by other fields of study. When Biblical studies and archaeology intersect, they are both enlightened by the combination. There is no doubt that the events of the Bible are firmly rooted in general world history. Even so, there are still many questions to answer. There are still many sites that need to be studied and excavated further and many more that are yet to be excavated at all. �1999-2010 CenturyOne Foundation, Inc.� a Nonprofit Organization All Rights Reserved. All materials contained in the CenturyOne Foundation Web Site are protected by copyright and trademark laws and may not be used for any purpose whatsoever other than private, non-commercial viewing purposes. Derivative works and other unauthorized copying or use of stills, video footage, text or graphics is expressly prohibited.